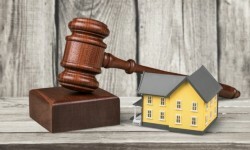 The Maharashtra Real Estate Regulatory Authority (MahaRERA) has been given the additional charge of being the regulator for two Union Territories, Dadra and Nagar Haveli and Daman & Diu. There are about 800 ongoing real estate projects in these two UTs, estimates show. The environment ministry has submitted new cost benefit analysis guidelines to the National Green Tribunal (NGT). According to the new guidelines, the ecosystem service cost of diversion will be assessed, based on the net present value formula. Mumbai-based Hiranandani group is set to develop a 3.27-million sqft information technology park at Oragadam, on the southern periphery of Chennai.